it offers a wonderful home-away-from-home setting! 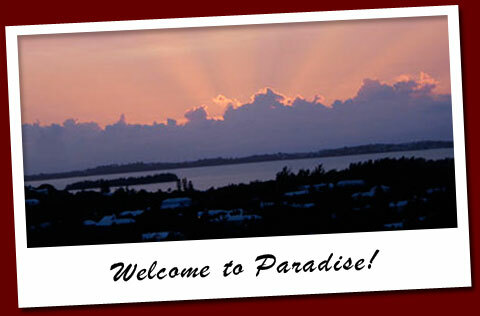 Sunscape Bermuda is a handsome house standing on top of Lusher Hill exhibiting breathtaking views of the entire island. It is only 5 minutes by moped to the beautiful sands of Warwick Long Bay and just a stroll from there to the Horseshoe Bay. The parish of Warwick is renowned for its elegant neighborhoods, stately homes and an abundance of parks and nature reserves. The Railway Trail is perfect for walking, jogging or biking as cars and trucks are not permitted to drive upon it. It is reserved for just mopeds and hikers. Apart from the 360째 views of the island, Sunscape Bermuda is closely situated to the Chaplin Bay and Warwick Long Bay beaches. It is a brief ten minute walk to secluded shorelines and majestic coves that make up Bermuda's southshore. You will be captivated by the pink sands, clear waters and gentle breeze perfect for a romantic adventure or quiet solitude. Stretching from Southampton to Paget, South Shore Road is Bermuda's very own highway to heaven, with magnificent views of all the south shore beaches sitting below the cliff formations. Whether walking the path or riding along on your scooter, this remarkable route will surely have you reaching for your camera as you take in the wonder that is Bermuda. As you seek to explore more of the island you will also have access to the bus service that runs along South Shore Road and Middle Road. The bus stop is a short walk from the house and takes you Central, East and West very quickly. The thrill seekers can also rent mopeds or scooters directly from the house, hand delivered to you within a half hour (credit card only). Nearby attractions that you wouldn't want to miss include The Botanical Gardens as well as Paget Marsh Nature Walk and the meandering trails of the Railway Trail System. Also be sure to explore Somerset and Dockyard at the end of the island in Sandys Parish, with its captive dolphins, beaches, pubs, museums and shops to enjoy!